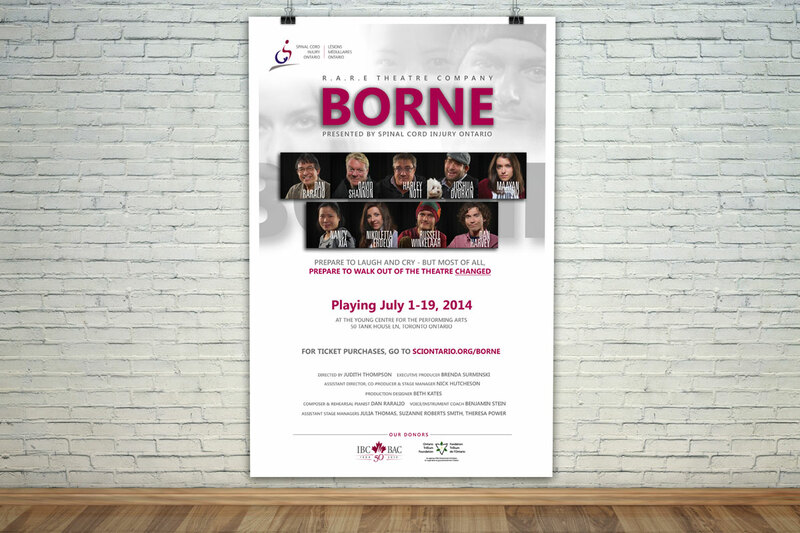 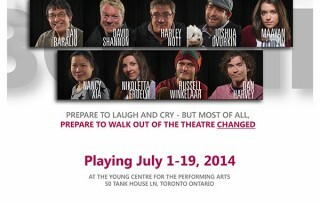 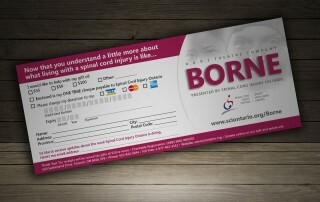 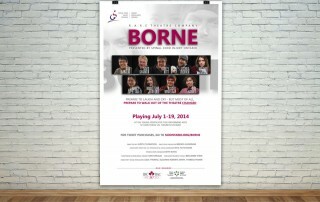 BORNE was a musical theatre play put on by Spinal Cord Injury Ontario and the Young Centre for the performing arts. 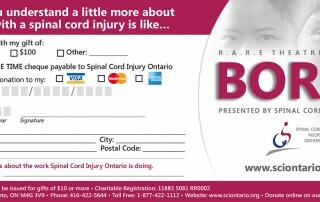 The purpose for the event was to raise funds for people living with a spinal cord injury as well as research. 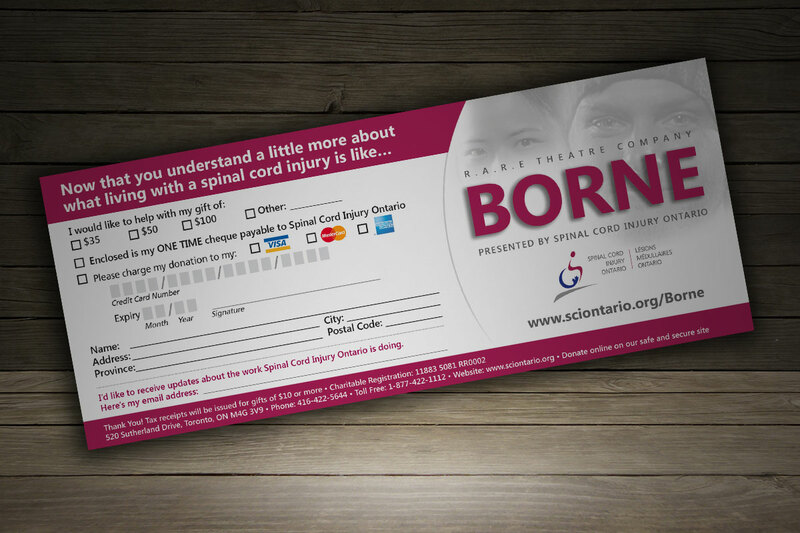 After having attended some of the rehearsals and seen the play, plus a limited number of photos, we were able to put together a look-and-feel for the poster and the form card buck-slip.